"great website. fast easy and safe buying. will recomend to friends." The Nexan Roadian HTX RH5 offer performance and functionality for today's modern SUVs and trucks on or off road, in wet or dry weather. 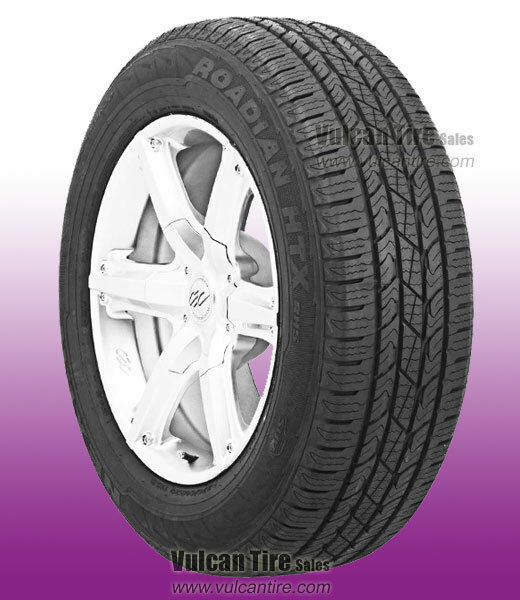 The Nexan Roadian HTX offers all this while keeping noise levels to a minimum. The tire�s exclusive Zig-Zag sipe, sipe-in-groove and 3D edge design serve to keep debris and mud out of the tread and elevate stopping performance. Click here for detailed specs.